Pims Inc. Fueling Brand Performance. With precision, accuracy and a personal touch! PIMS is a hybrid of highly personalized distribution services along with full scale inventory management solutions. PIMS has saved my life in more ways than one! Starting out young in my PR career, I was given their contact information for a small mailing project and never turned back. Whether it was big or small – in or out of scope – they always had a solution for me and would bend over backward to get the job done and make sure I was happy. More often than not, we don’t have much line of sight into the next job coming around the corner and our timelines are always tight, but PIMS is always there to deliver. PIMS is our absolute favorite vendor to work with. They are incredibly detailed, helpful and always go above and beyond to make magic happen. They are a best-in-class example of customer service and I cannot recommend them highly enough! 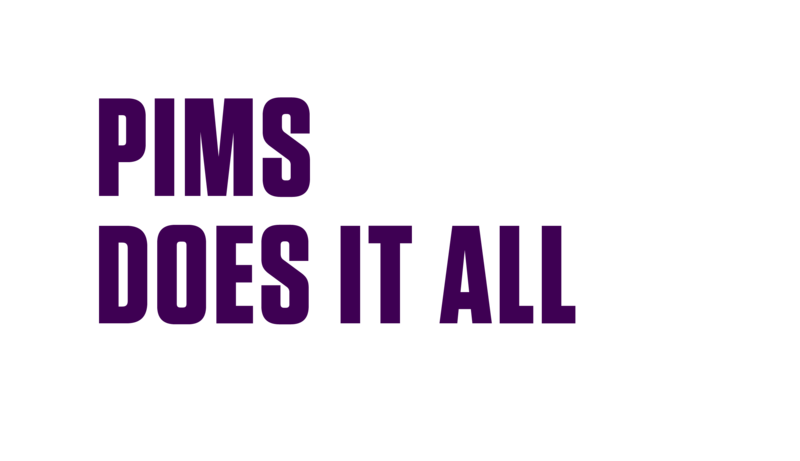 We know we can always count on PIMS to help us complete some of our most important assembly and distribution projects. Executing on time and with unmatched professionalism, precision and care, PIMS has, more than once, delivered successfully on projects that would otherwise have been impossible for our small team. 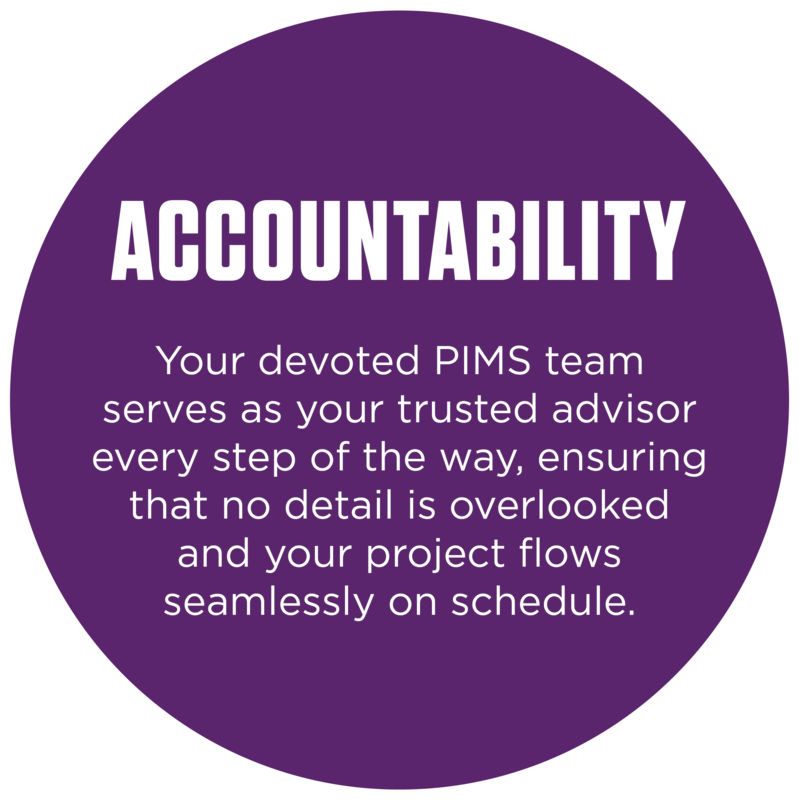 PIMS has been a trusted partner for over 10 years. Their attention to detail and willingness to tackle any kind of project is incomparable. They have consistently provided cost-effective and time-saving solutions on everything from prepping and packing press kits to global distribution of visual merchandising elements. When PIMS takes on a project, they do so with dedication and persistence until the last package is delivered and the last customer is happy. I have been lucky enough to work with PIMS for over 5 years – and at this point, they are family to me. 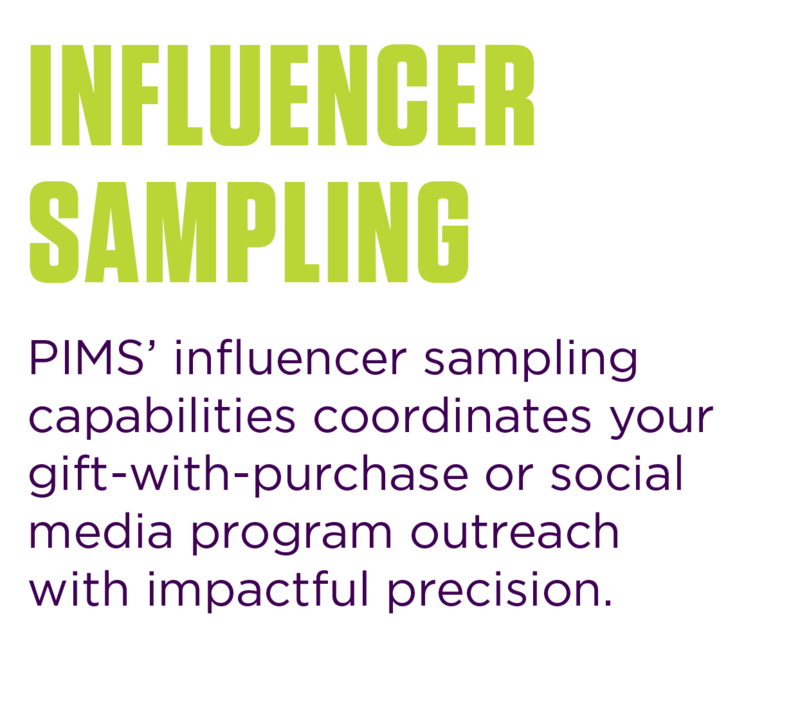 No matter the scale of the project, whether sending out 50 press mailers, or 2,000 influencer gifts, PIMS’s attention to detail and true care for their clientele is what differentiates them from any vendor I have ever encountered. There is no request too big or too small for their incredible team. They ask the right questions, and are always thinking ten steps ahead of even the most prepared person. They are always offering up new ways to better serve their clients, which is an invaluable and hard to find trait in today’s world. I cannot recommend a better partner in accomplishing your goals! 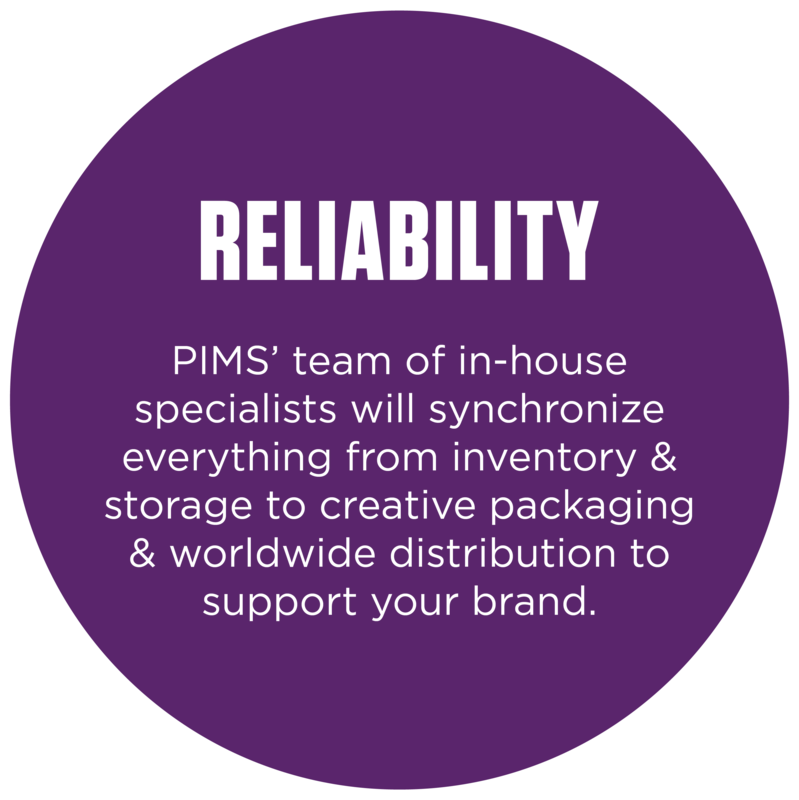 If you need global warehousing solutions, real-time inventory management and unmatched personalization, PIMS is your one stop solution! We redefine the supply chain model to deliver an exceptional customer experience. 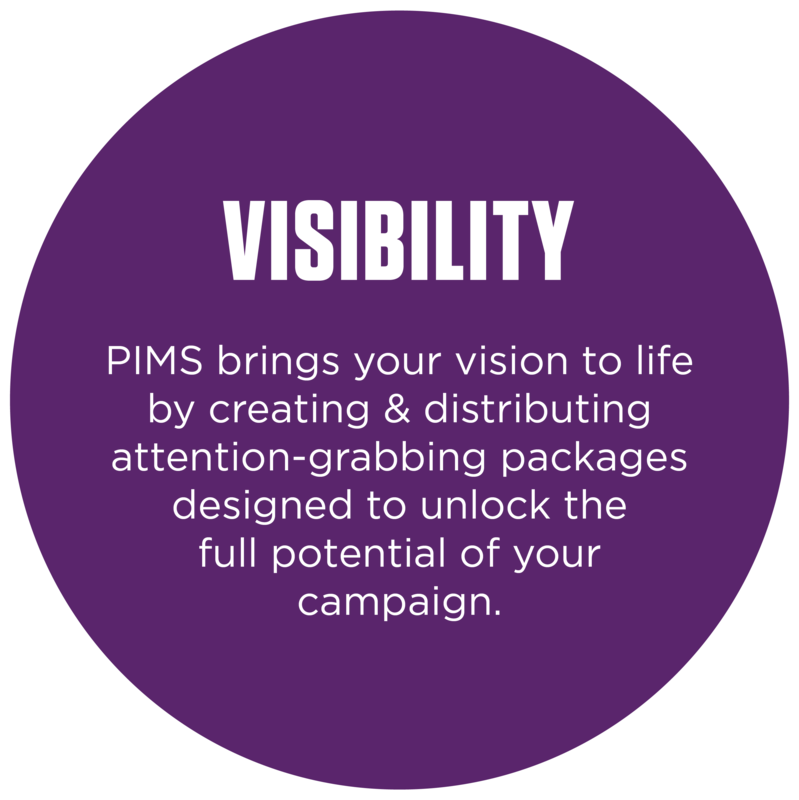 Whether you’re launching a new product and need to assemble customized influencer packages or you’re looking for a more efficient way to manage your inventory & collateral, PIMS’ involvement helps maximize the IMPACT of your brands performance. Here are answers to some commonly asked questions about working with PIMS. Our influencer outreach needs to be more effective, but our distribution center is unable to customize the sendouts based on each individuals’ needs? How can PIMS help? At PIMS, it’s about more than just pick and pack. We pride ourselves on offering unparalleled levels of customization and personalization. From making sure an influencer receives the newest sweater from your fall collection in the right size, color and style to allowing audiences to select the items they want included in their package, we tailor the package to make the greatest first impression possible. Coordinating the shipping of our products & collateral is a constant challenge for us – it’s time consuming since we need to contact a variety of vendors to handle different markets and address the difficulties with customs regulations and clearance issues. How can PIMS help? As part of PIMS’ white glove service, we navigate multiple transportation options to determine the best solution for your needs. Our network of worldwide logistics partners and brokers ensures us that the paperwork for each destination country is in order thereby expediting the delivery process. My team has always managed our collateral & fulfillment in house? How will we stay on top of our inventory using a warehouse? 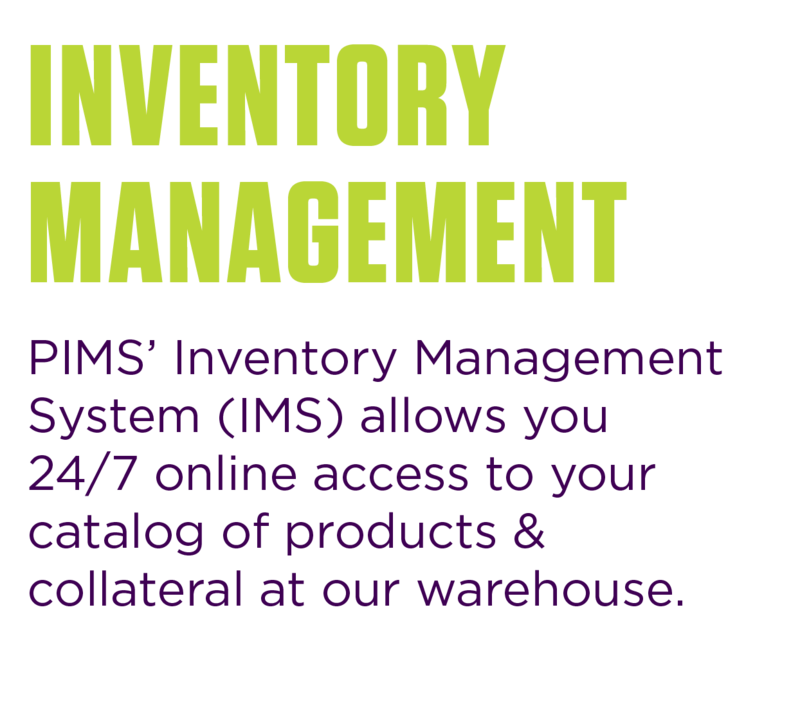 PIMS’ proprietary inventory management system (IMS) allows you 24/7 online access to all of your assets. Your dedicated account team will walk you through the process of creating a personal microsite for all your products & collateral in our warehouse. They’ll proactively alert you when supplies are running low and work with you to forecast replenishing items needed for upcoming campaigns and outreaches. Our decisively efficient fulfillment process, which includes priority send outs, allows to you deliver accurately and on time, both domestically and globally. Our online sales are really taking off but we’re not ready to lose the personal touch that we offer with our order fulfillment. What can we do? You have enough on your plate trying to increase customer retention, developing your product line, and coming up with new, creative marketing campaigns. The last thing you need to worry about is the storage, fulfillment, and shipping of your product. PIMS ensures your goods are moved and stored securely and efficiently – with the flexibility and customization that you require to continue offering your personalized touch. 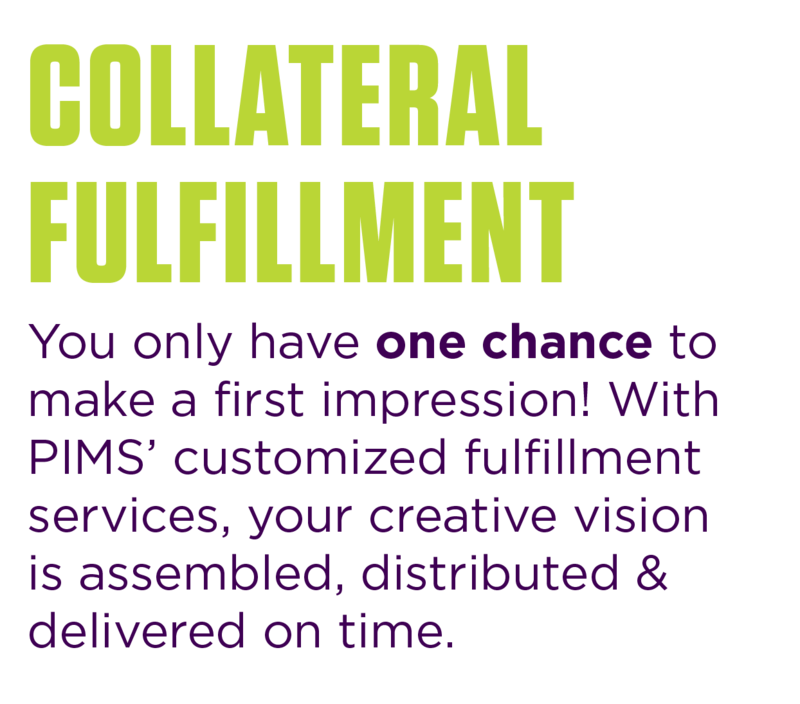 PIMS allows you to focus less on logistics and more on growing your business.